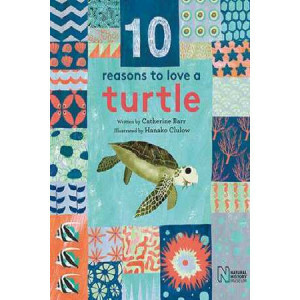 This brand new series from Frances Lincoln Children's Books gives children 10 reasons why each animal is amazing, and five ways they can show they love it! Turtles go on incredible journeys, have beau.. 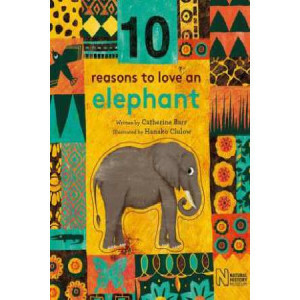 This brand new series from Frances Lincoln Children's Books, part of our Natural History Museum programme, gives children 10 reasons why each animal is amazing, and five ways they can show they love i.. 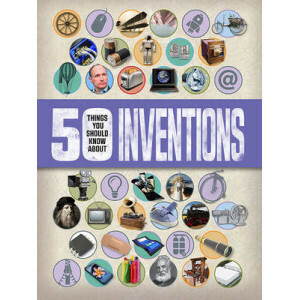 Discover the inventions that helped shape the world we know today. 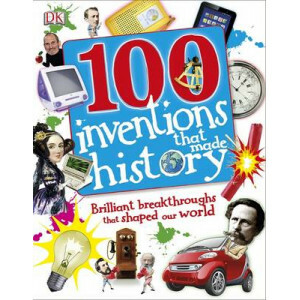 100 Inventions That Made History is no ordinary history book. 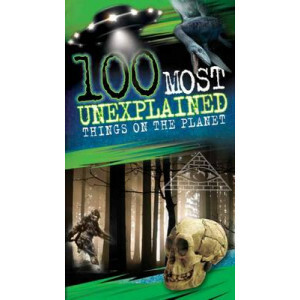 Take a look at the trailblazing inventions that have advanced technolog..
Full of the roughest and toughest things on the planetanimals, bugs, plants and materials so hard, so resilient, and sometimes just so darn difficult to kill, that weve dubbed them 'the Indestructible..
Do you dare to discover the world's strangest creatures and uncover the weirdest facts? 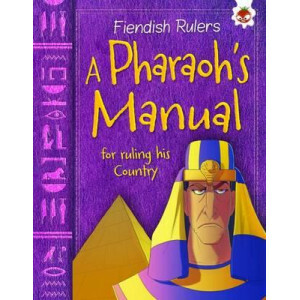 Then this book is for you. 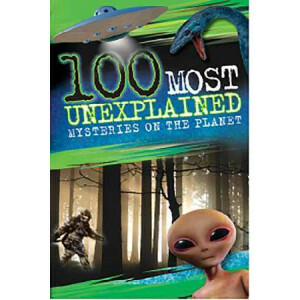 Find out why the Goonch is known as a man-eating catfish or who fights off killer cre..
Dare to discover the world's strangest creatures and uncover the weirdest facts. 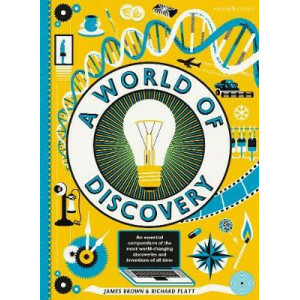 Find out why the goonch is known as a man-eating catfish or who fights off killer creatures by spraying acid-filled blo..
From brainy biologists and clever chemists to magnificent mathematicians and pioneering physicists, discover 100 remarkable scientists who shaped our world.Containing a universe of knowledge, 100 Scie..
Plunge into the world of science and learn about humankind's ten most important discoveries, including stars, wheels, numbers, light, medicine, sound, atoms, materials, energy and life. See how early ..
What was the 'Flute of Shame'? Which two USPresidents were arrested for reckless riding? 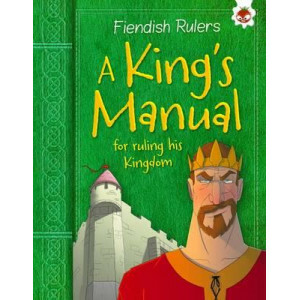 Why would an African king be afraidof a parrot's egg? Find the answers these questions, along with loads of oth.. If you thought that it was a man's world, think again! 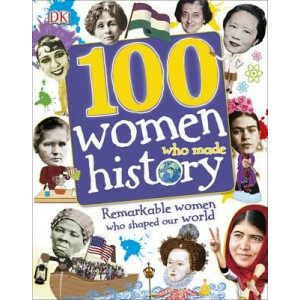 100 Women Who Made History is the exciting story of the women who changed the world, from Anne Frank to J.K. Rowling. Meet the most talented and.. 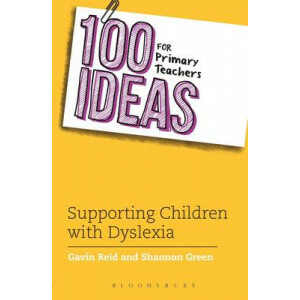 This practical guide provides anyone supporting children and young people with dyslexia with more than 100 great ideas for reinforcing their learning development. 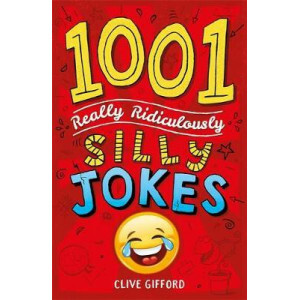 This second edition is up-to-date ..
Know any good jokes? 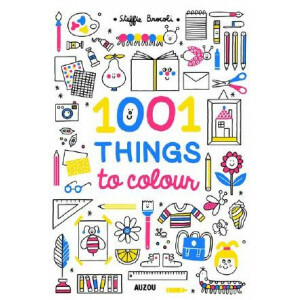 Here are 1001 (yes, one thousand and one!) 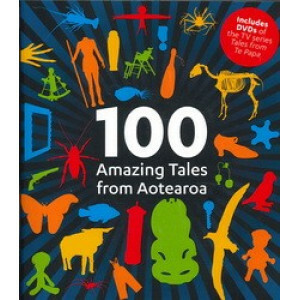 awesome ones for the whole family to enjoy! Why did the empty sandwich go to the dentist? IT NEEDED A FILLING. 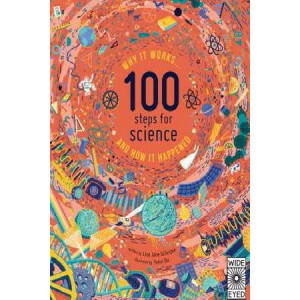 What do you c..
Make science fun with 101 amazing step-by-step science experiments for kids that are safe and easy to do at home. 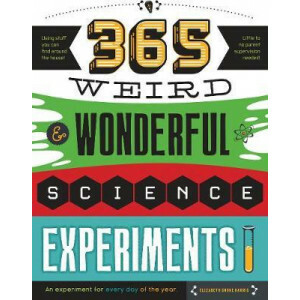 Be the next Albert Einstein with these cool science experiments for kids and discover .. 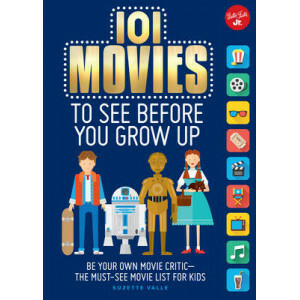 The perfect handbook for movie-lovers of all ages, helping both kids and parents choose classic and contemporary movies appropriate for the entire family. Movies are made to entertain! Movies can make.. 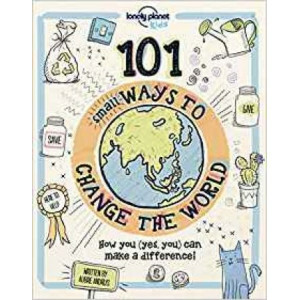 It's hard to believe that you could change the world, but it's true! 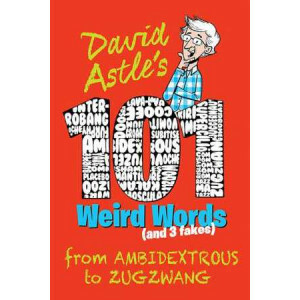 We'll show you loads of awesome ways to help out family, friends, yourself and the planet - and show how you're never too young to ..
101 Weird Words (and Three Fakes) is a mini-dictionary jam-packed with unusual or interesting words, followed by a fun and descriptive definition for each one. Filled with silly pictures and strange w.. 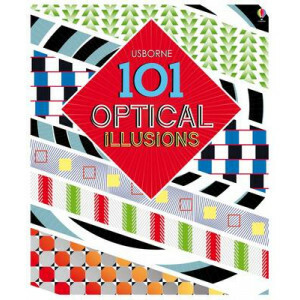 Learn something about everything and discover the world as you've never seen it before with exploded images of everyday objects from cars and skeletons to pianos and chocolate! Each image has 13 mind-.. 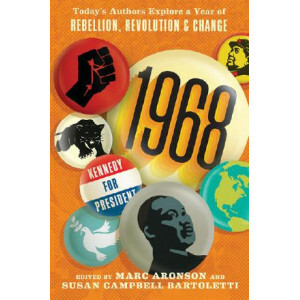 Welcome to 1968 -- a revolution in a book. 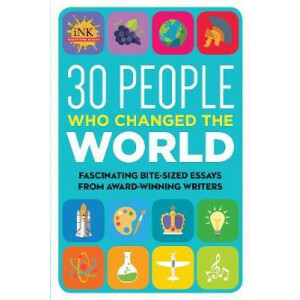 Essays, memoirs, and more by fourteen award-winning authors offer unique perspectives on one of the world's most tumultuous years. Nineteen sixty-eight was a.. 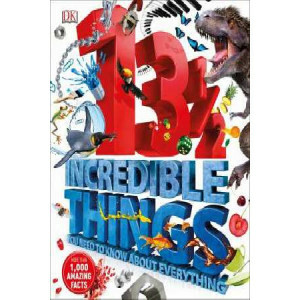 The ultimate annual book of records is back and crammed with more than ever before! 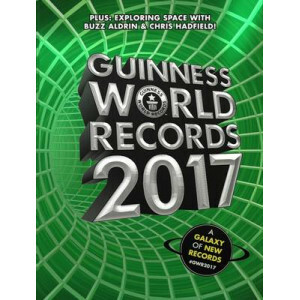 Guinness World Records 2017 is bursting with all-new records on topics as diverse as black holes, domes, owls and ki.. 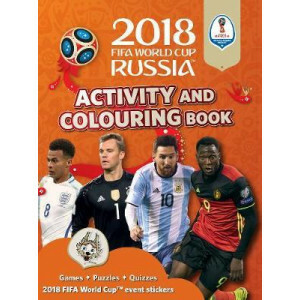 Pick up your pens and pencils and get creative - the biggest ever FIFA World Cup is here! 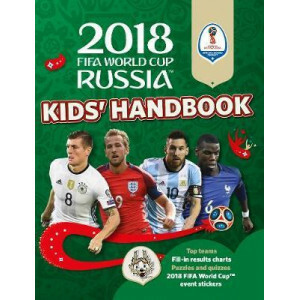 The Official 2018 FIFA World Cup Russia (TM) Activity and Colouring Bookis packed with star players to colour ..
As excitement builds in the run-up to the 2018 FIFA World Cup, The Official 2018 FIFA World Cup Russia (TM) Kids' Handbook provides the perfect tournament companion for younger football fans. 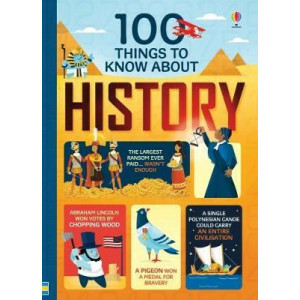 Featurin..
What do Julius Caesar, Rosa Parks, and Vincent van Gogh all have in common? 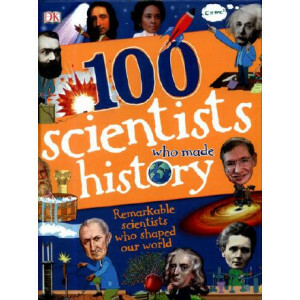 They're all fascinating figures who shaped our world! 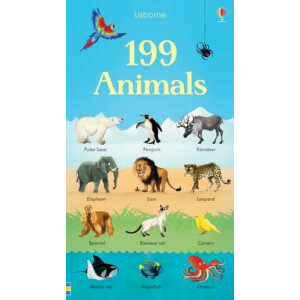 Learn about these and so many more historical VIPs in 30 People Who Ch..
August Pullman stole the hearts of over a million readers in the bestselling, award-winning Wonder. 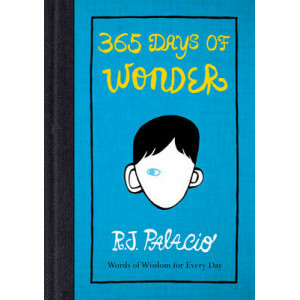 365 Days of Wonder is a beautiful companion to the novel: a collection of quotes and wise words, one.. 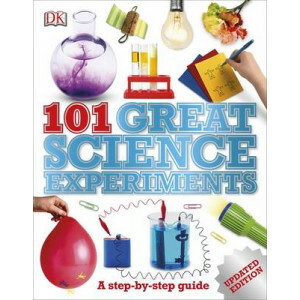 This fact- and fun-filled book includes hundreds of simple, kid-tested science experiments. 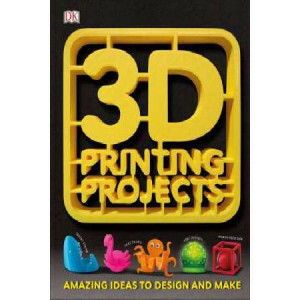 All of which can be done with items from around the house, and require little to no supervision!Whether you'..
Over 20 exciting 3D printing projects for kids to design and print their own toys, gadgets, models, and ornaments. 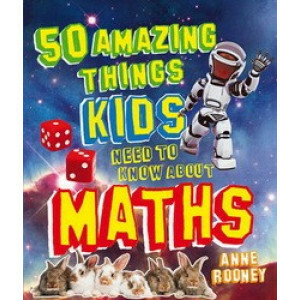 Using freely available 3D modelling software and without the need for your own 3D pri..
You can't build a bridge, bake a cake or even do your shopping without maths, but many children (and adults) are put off it at school because it can seem pretty tricky and, dare we say it, boring 50 A.. 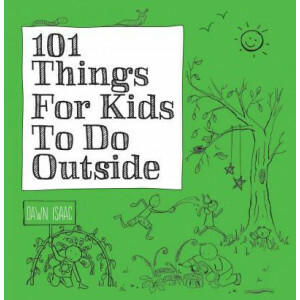 The outdoor environment is a rich, dynamic and natural space for promoting learning and development in children of all ages. 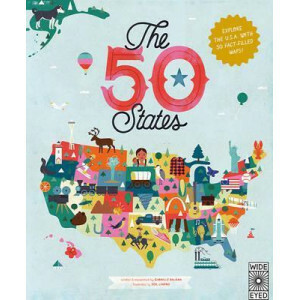 Its value as an essential learning resource has been recognised by many gov..
50 States: Explore the U.S.A. with 50 fact-filled maps! Be inspired by the inventiveness, beauty and diversity of the United States in this curious collection of fact-filled maps. 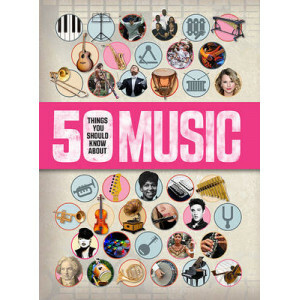 Explore thousands of wondrous locations and be awed by the achievements of h..
An all-encompassing introduction to the genres, musicians, instruments and musical events that have shaped the world of music. 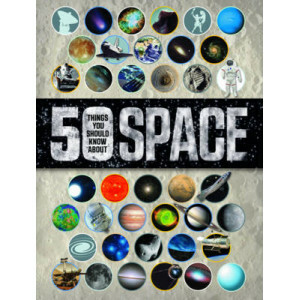 From the rock and pop of Western youth culture to the haunting sounds of ..
What exactly goes on at the International Space Station and why does the Earth spin? 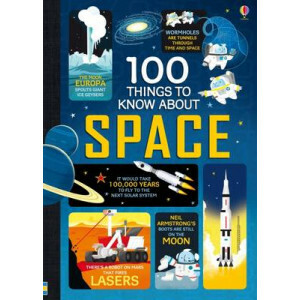 Just how big is our galaxy and how did the Moon form? 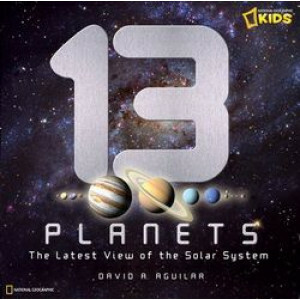 From constellations to space shuttles, Space is as endlessly .. 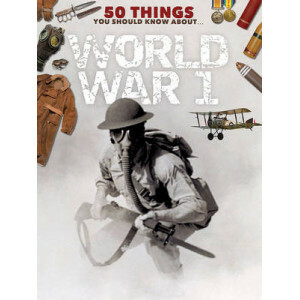 The perfect introduction to the First World War, this book highlights the 50 essential facts that everyone should know. You can discover what caused the war and why it eventually affected every corner.. 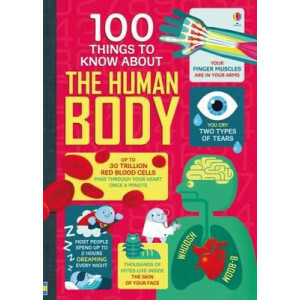 Discover the secrets of the human body and find out how everything functions! 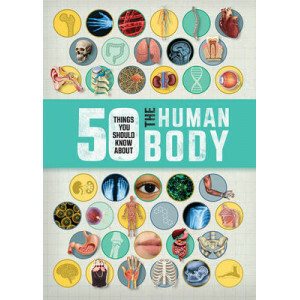 See how the body works its magic to help you move, hear, breathe, grow...and much more. 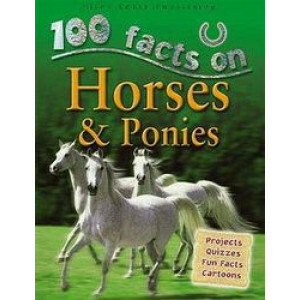 Packed with facts, diagrams, info-.. 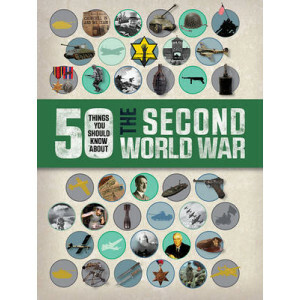 The perfect introduction to the Second World War, this book breaks down six years of conflict into 50 manageable facts. Each year of the war is introduced with a timeline featuring the key events and .. 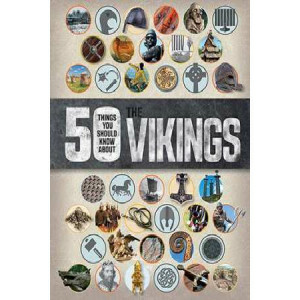 Divided into five chapters covering the entire history of the Vikings, the book provides a comprehensive exploration of who these peoples were - and who they were not. 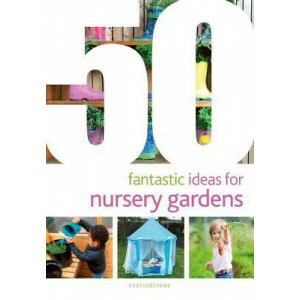 For while there is no doubt that..
Every aspect of modern life has been shaped by the ideas of ingenious inventors, many of them tinkering away in small workshops or even their garden sheds. 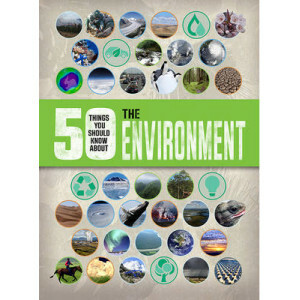 Packed with facts and figures, discover the ..
Earth's varied environments have been shaped by gigantic forces. 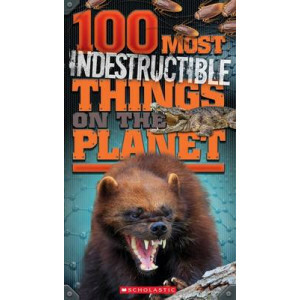 Volcanoes explode with molten lava from deep in the core, while continental plates rub together to produce violent earthquakes and huge..
With 50 Wacky Inventions Throughout History, history has never been so fun--or wacky! Have you ever heard of a bike TV? Or a bird diaper? 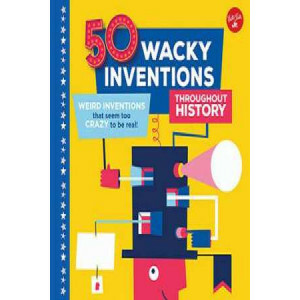 50 Wacky Inventions Throughout History describes 50 invention..
Did you know that a sneeze moves at about 100 mph? Or that an average person is 7.5 heads tall? 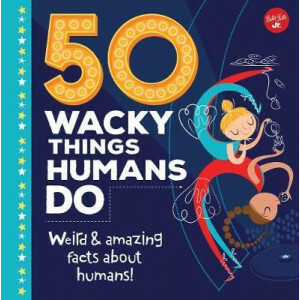 Did you know that humans share 99.9 percent of their DNA with each other?50 Wacky Things Humans Do descr..
A stunning collection of the world's most important discoveries for all the family to enjoy. 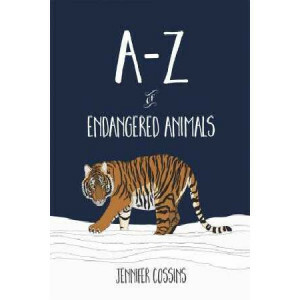 In the stylish miscellany, print-maker James Brown travels through the past and present, showing the a..
On this journey through the alphabet, you will encounter some of the world's most beautiful, rare and endangered animals, from the majestic Amur tiger and the curious kakapo, to the misunderstood Tasm..